Combining a love for dealing with people, strong work ethic and an unwavering, relentless drive to achieve the highest standard possible Zac is a positive, dynamic force and an asset to the Harris Real Estate Team. 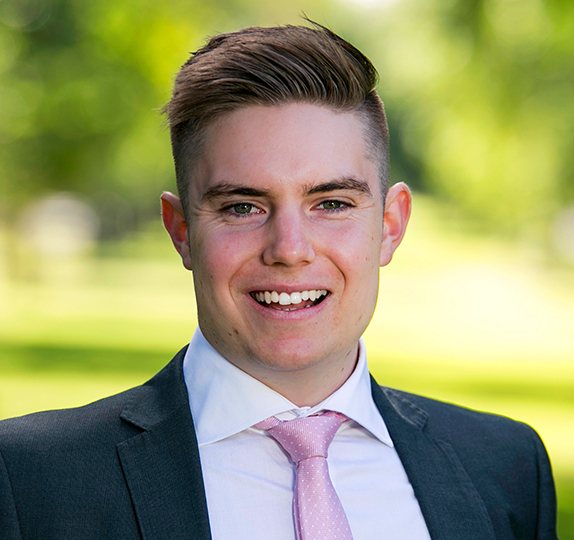 Working alongside real estate power house Guy Barrett, Zac is not only learning and growing from the best, but is bringing his expertise and love for the real estate industry to the table- ensuring clients are always the number one priority. Placing emphasis on catering to his clients, Zac will always go above and beyond to ensure that the desired result is achieved- whether it be to organise a meeting out of hours or to show a buyer dozens of properties until the right one is found. Wise beyond his years, Zac offers both the Harris team and his clients a fresh perspective while remaining true to his core values and ethics of honesty and integrity, always remaining transparent with his clients- utilising his strong ability to negotiate even the toughest of deals. If there is only one call that you make today, make sure that it’s to Zac or the Barrett Team at Harris Real Estate- you won’t regret it.